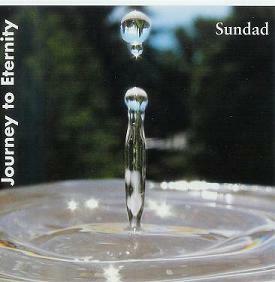 Sundad is the name of the band and their album; Journey to Eternity sounds like the sorcerer and his apprentice are weaving their magic on acoustic and electric guitars. How exciting to have father and son play with and against each other musically and blend so well in harmony. Sundad is John Eurell Sr. and John Eurell Jr. on guitars and masterful percussionist Chet Soares. Sitting in on some of the tracks is Brian Douglas and Buck Brundage on bass and keyboardists Sam Lowe. Some of their music sounds remarkably like Stephen Stills bridgework on some of C S & N’s earlier works and that is a very good thing. Sundad’s music is crafted with intensely animated fretwork and inviting, echoing composition. There are Spanish influences as well as some sound effects that add to the songs. Nothing overt, just swatches that create color and interest. Open Sesame, a perfect title for the first cut, is full of mystery and adventure. A great beat with two guitars musically dancing around the campfire and not waiting for the magic to happen, but creating their own. Ah, but then they let the genie out of the bottle. As I play the cut The Endless Wind a storm rages just outside my window. It is not the gentle sirocco from the west, but the violent tail of a tempest from the south. Great guitar lead on this one as you imagine trees genuflecting to nature’s will and the rains coming down as if every soul in heaven decided to weep all at once. No matter how many times I play the album, the tune New Mexico, Land of Magic is the one I keep repeating. It is a great soundtrack for driving through New Mexico or any parts of the south west with its earthy colors to the hills, the cactus sculptures and those booming thunderstorms out on the desert that rumble down to the earth like words from an angry god. This is my favorite cut on Journey to Eternity. With a title like Journey to the Next Sector you would think that the song is spacey and atmospheric, but not so. The next sector is on another continent. It could be in northern Africa or the southern tip of South America. It is an exhilarating jaunt to a place unknown. It is not the destination that is so much fun, it is journey getting there. Cut and Run, the final track is the best. The intro is bluesy and then transforms into something worldly and exciting. More traveling music I suppose, with its snappy percussion and European treatment, sometimes Andalucian, sometimes Mediterranean. They may have cut and run, but you can’t wait for them to come back. Father and son have been performing together for only three years, and yet their music is entirely cohesive. Although they started out playing covers (Don’t we all?) they gradually transformed their catalog into New Age and World music. Sundad’s music is highly entertaining and will appeal to several kinds of audiences; mellow guitar, New Age or World fusion listeners. It is the soundtrack for a modern lifestyle that deserves and little breather.